"What do you do when you write down all your secrets? No… that’s not enough. What do you do when you write down all your secrets and the one person who should never read them does? The Epic Conclusion to The Boy & His Ribbon. Ten years was an eternity when she was a babe and I was a boy, but now… it no longer held such power. I refused to let it because I didn’t know what I’d do if I couldn’t touch her the way I was touching her now. Don't hate me for what I am about to say but I was not a big fan of The Boy & His Ribbon; don't get me wrong, I really liked it, but it was not my favorite. I can tell you though, that this story has left me with all the feels of an awesome story and the tears start each time I think about The Girl & Her Ren. This story begins where The Boy & His Ribbon left off, with Ren leaving Della because he is fighting his feelings for her. He can't get past the way he feels because he raised her. He watched her grow into the woman she is, and it makes him feel like it is wrong to have the feelings he has towards her. But he has to face the truth – that they were made for each other. That because he raised her, she is NOT his sister and their love is soul deep. He has to go back to what is meant to be. Della tries to move on, but Ren is everywhere she turns, she feels him even when she walks down the street. She feels that she must leave this town but then he returns. When she steps out of the shower, Ren is in their apartment reading her words and she can't believe that he is back and that he is reading what she wrote. Can they make a life together living in the woods as they did growing up? Will he get past his guilt and fears? Can Della show him that their love is real and true? Will they be able to make a life together as they see in the future and live happily ever after? This is the almost perfect ending for this story, the perfect ending, well you will have to read it to understand that. It is full of laughter, pain, love, heartache, and is one hell of an emotional rollercoaster, but keep your hands inside and hang on and enjoy the ride. It is well worth it. Pepper Winters steps out of her usual genre with this duet but let me tell you, she didn't disappoint. 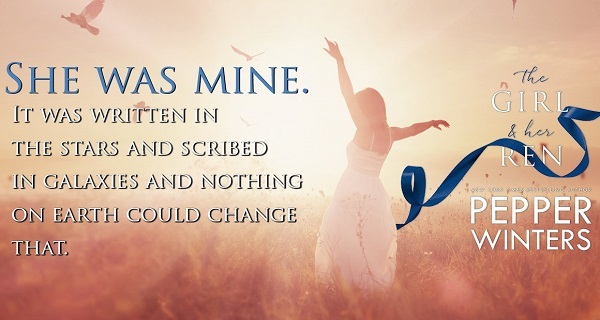 If you are looking for something different, then you NEED to read this duet, it will leave you with all the feels of a great story, and you will be thankful you read it. So sit back and enjoy! Whew, this is an emotional rollercoaster! We pick up after the first book and these characters just seem to grow. Ren and Little Ribbon, Della, have finally started living. I don’t want to write too much, as it will give away the story, but these characters show remarkable resilience in the face of what they have endured. I do think that Della and Ren’s relationship was a little drawn out. There was a lot of description of their relationship and encounters when I think the point would have been made with less pages dedicated to that aspect. However, the story as a whole is amazing and full of emotion. Make sure to bring your Kleenex box. You can see the story unfold, knowing something is going to happen, but you can’t stop yourself from reading. I loved it! 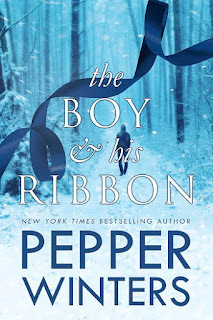 For reviews & more info, check out our stop on The Boy & His Ribbon Release Blitz. 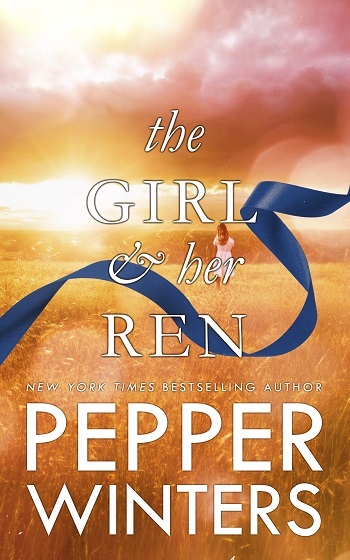 Reviewers on the Wicked Reads Review Team were provided a free copy of The Girl & Her Ren (The Ribbon Duet #2) by Pepper Winters to read and review for this tour.